The AMC "flying fishbowl" Pacer was produced at the height of the disco era (1975-1980) and slotted between the Gremlin and the Matador in AMC's lineup. It was an oddly shaped car when released, the passenger compartment was shoved forward, the wheels were located at the ends of the car with minimal overhang, and let's not forget about the huge rear glass sections. However, if you had a spare Cadillac V8 sitting around, it seems like a logical car for a sleeper. 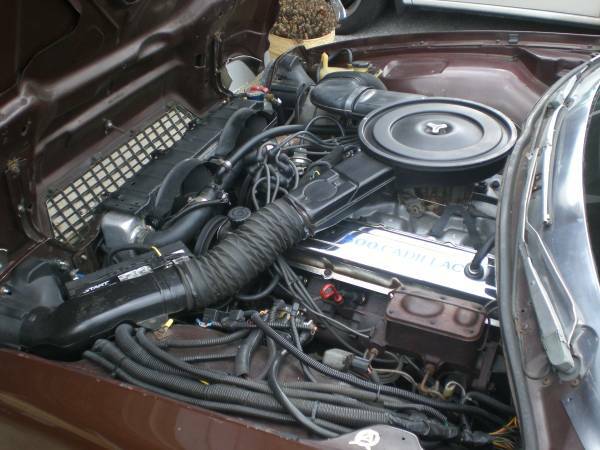 Find this 1978 AMC Pacer 500cid V8 offered for $6,000 in Louisville, KY. Tip from Fueltruck. 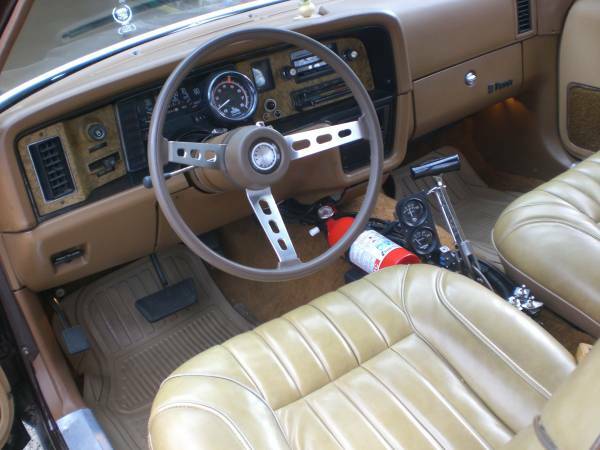 The single exterior photo shows a dark shade of fetid brown, for all the complaining about how boring car colors are these days, I don't think we need to return to the brown/olive/tan shades of the 70s. The car also has some rust, but the seller assures us that it is COSMETIC rust -I choose not to ever fix due to the nature of the build ( a sleeper). Cadillac was the first OE to offer a mass produced V8, but by the 1970s its engines were more about torque than power. Displacing 500 cubic inches the Caddy V8 could have left the factory with anything from an SAE gross rating of 400 horsepower down to 190 horsepower -- more power is available if you use copious lengths of plastic split-loom wiring covers in your installation. If it's gonna be a Pacer, it's got to be an AMC 401, and it can't have the cathedral-ceiling hood of the V8 cars, you gotta get it under the original hood. This is why I gave up 'shrooms years ago. Stuff like this happened in far too often. "This is your Pacer, this is your Pacer on drugs". under the windshield, the 2 rear plugs were extremely difficult to reach. From the crappy pics it looks like a decent build, and what better base for a sleeper? The original differentials were weak with the 6 cylinder-hopefully the Builder addressed that (9-inch Ford has same wheel bolt pattern for most cars) They did come with (small) front disc brakes which was slitely ahead of their time.